The Bristol Old Vic is a theatre used to transformations. Built in 1766, the Grade I-listed building is in the throes of a multi-million-pound redevelopment project. The building work will transform the front-of-house area, combining the historic facade on King Street with a sleek, glass-fronted piece of modern architecture. But it’s not just the outside of the Old Vic that’s about to undergo a significant metamorphosis. For the first time in its history, its Georgian auditorium is being reconfigured in-the-round, for Michael Boyd’s production of The Cherry Orchard. Although this is the theatre’s first fully in-the-round production, it isn’t the first time directors and designers have experimented with its seating arrangement. Artistic director Tom Morris’ staging of The Crucible in 2015 featured two wooden blocks of onstage seating, while his semi-staged production of Handel’s Messiah – revived in 2017 four years after its premiere – included a small number of the audience seated on stage. The difference for this production will be the minimal separation between the existing seating in the auditorium and the newly created seating structures on the stage. 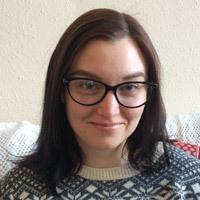 Piper stresses that in order to have a truly in-the-round staging it’s crucial “there shouldn’t be a perceived orientation or a right way to look at it”. To achieve this, the stage is being extended by about three rows. 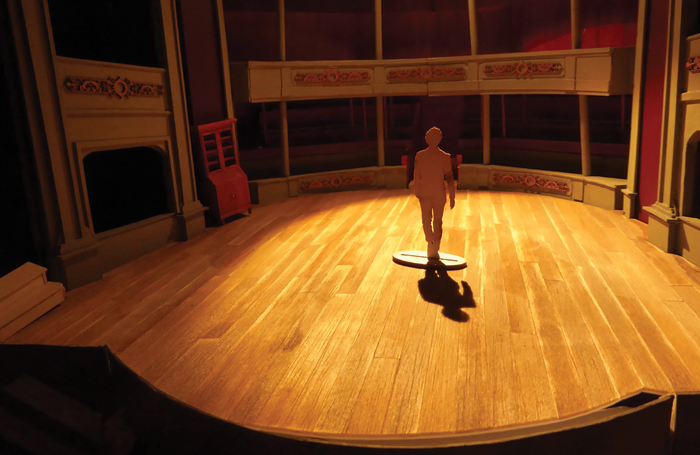 This creates, in effect, a thrust stage – a layout familiar to Piper from his days working with Boyd at the Royal Shakespeare Company. This extension compromises the sight lines from the top of the upper circle, but Piper is keen to stress this is not a major handicap as the new seating structures contain an additional 100 seats, replacing the front rows covered by the thrust stage and those in the upper circle with restricted views. The result is approximately 400 people in the existing auditorium seats and 100 in the new structures, maintaining just about the normal capacity. The new two-tier seating blocks are made from scaffolding and covered in cladding matching the historic green interior. The use of scaffolding is for economic reasons, but the cladding serves a more artistic purpose. Piper’s vision is for the ornate walls of the theatre to stand in for the aristocratic house fated with destruction at the end of Anton Chekhov’s play. Likewise, when the production relocates to Manchester, Piper is considering using unique features of the former commodities exchange, such as the potential for the pink stone shell of the Great Hall to be glimpsed by the audience seated in its modern internal theatre, to suggest the looming demolition of the old-world house. 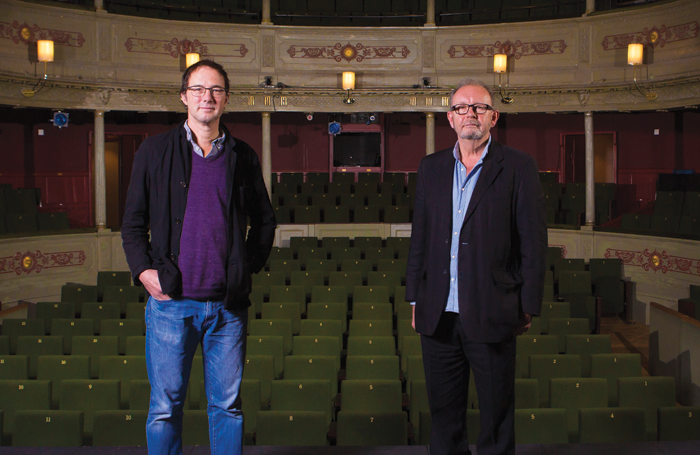 At Bristol Old Vic, the new seating isn’t the only major new feature. Piper and Boyd have also decided to include a revolve. At around seven-metres wide, the mechanism will help the staging resist the pull towards the audience seated in the traditional auditorium. The designer cautions that they haven’t quite pinned down how the revolve will be used yet, but talks through a few possibilities, including the use of a quick revolve during the scene of the ball and a slow revolve to help evoke the wide open landscape when the action is located in the countryside. The final large additional feature is a red velvet curtain. That might seem entirely at odds with an in-the-round staging. However, the idea is to have the audience in the new and old seating areas originally screened off from each other. The intention is to “puzzle the people from one side and annoy the people from the other”, until it flies away and reveals the other part of the in-the-round seating. Inspired by the vaudeville shows Chekhov himself went to see, Piper and Boyd have a canny and playful idea for how this curtain is going to be used – though they wanted to keep this a secret ahead of the opening night. Piper particularly likes the concept of the curtain because it capitalises on the current mid-redevelopment state of the Bristol theatre. At the moment, visitors arrive through a side entrance and head into a temporary backstage bar. To get to the auditorium, they’re sent though a mini-maze of staircases that make emerging into the auditorium something of a surprise. All in, constructing the seating, rigging the curtain and putting in the revolve will take about a week. It’s no small job, but it’s about more than trying to wow the audiences. Piper sees the question of ‘why’ they are doing it as just as important as ‘how’. 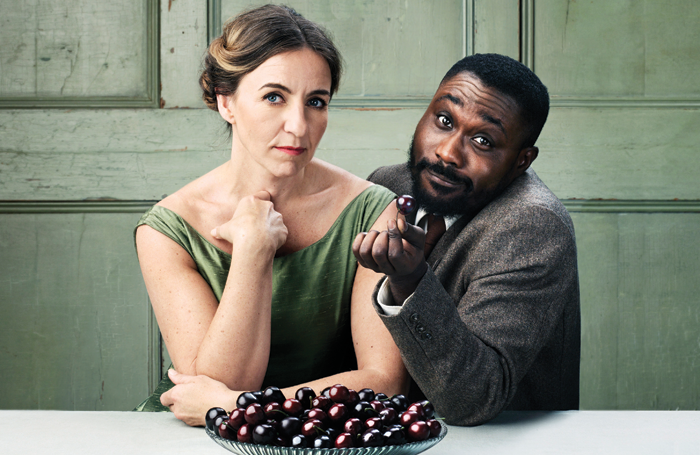 In the case of The Cherry Orchard, he imagines the audience as standing in for the trees, effectively becoming a part of the scenery. Considering the audience in relation to his designs is something Piper mentions repeatedly. 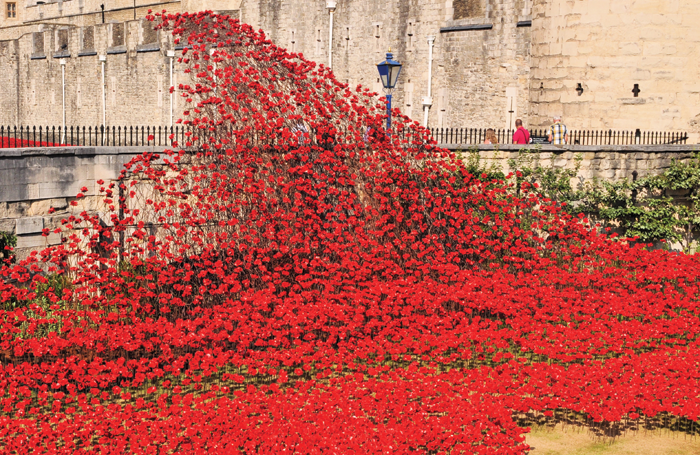 Along with his extensive work for theatre, the designer’s most famous project has been the 2014 installation Blood Swept Lands and Seas of Red, made up of 888,246 ceramic poppies at the Tower of London. What the poppy installation and the in-the-round transformation of the Bristol Old Vic have in common is their impressive visual ambition. But at the heart of Piper’s design work is a simple ethos and a commitment to entertain the audience.